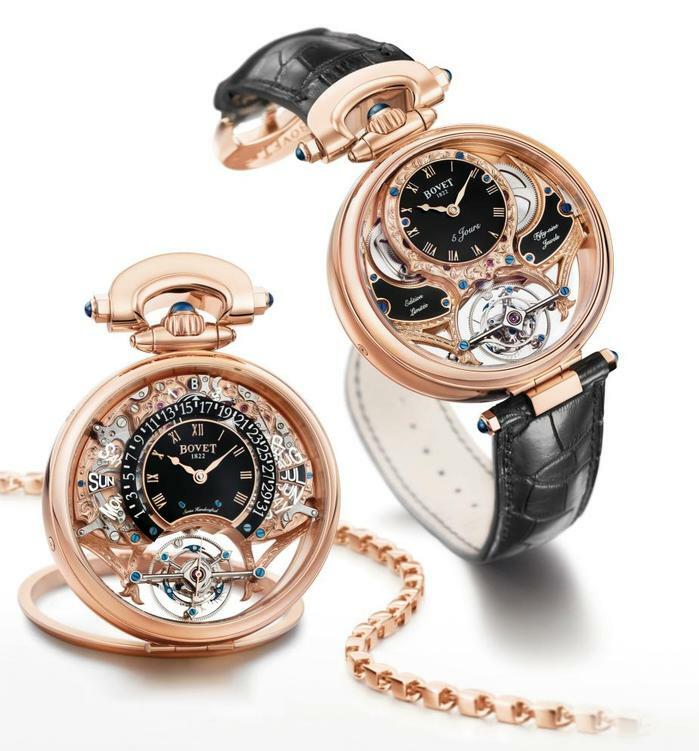 Bovet is a brand whose watches often make the Rococo feel a bit plain and under-decorated, frequently based on technically proficient, but uninspired movements. For their new 2014 collection, they've got more of that, but also some actually interesting pieces. First one of their old-style pieces, a massive 5-day tourbillon and retrograde perpetual calendar in an 18kt gold case that converts from a wristwatch to a pocketwatch. 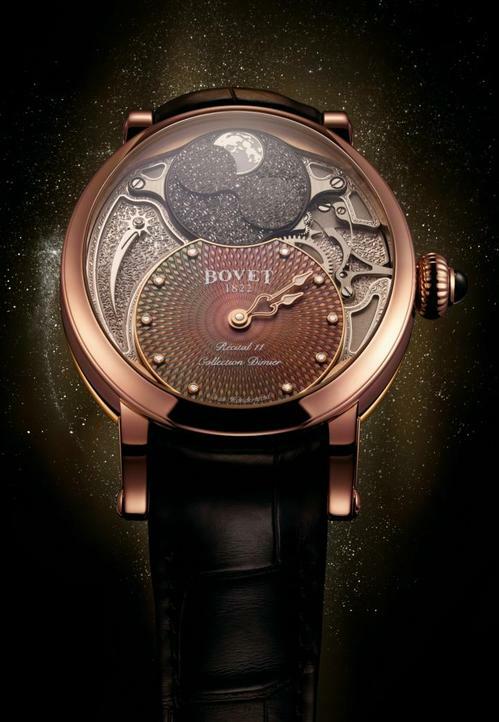 The movement is a Dimer (the movement division of Bovet) Virtuoso III, with 59 jewels, 21,600 vph. Some of the nicer new pieces, both in the Recital collection. 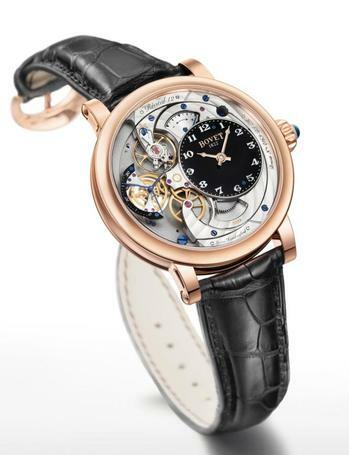 Recital 15 - Jumping hour, retrograde minute hand and something they're confusingly calling a "coaxial reverse seconds-hand", and a power-reserve hand, driven by the Virtuoso II with 33 jewels and a power-reserve of 5 days. 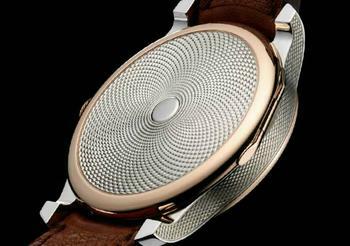 The case is 42×12.8mm and 18kt white or rose gold. Clearly the rose-gold case is available with diamonds on the bezel. Recital 12 Monsieur - With only hours, minutes, seconds and power-reserve hands. 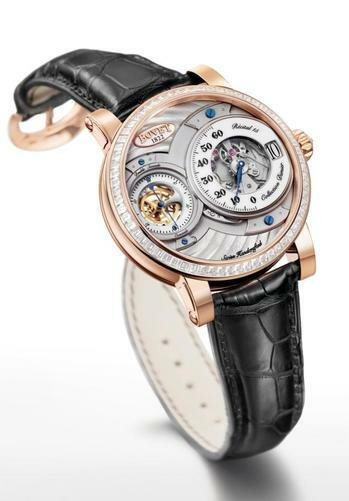 The Virtuoso II Specialite movement has 33 jewels and a reserve of 7 days. 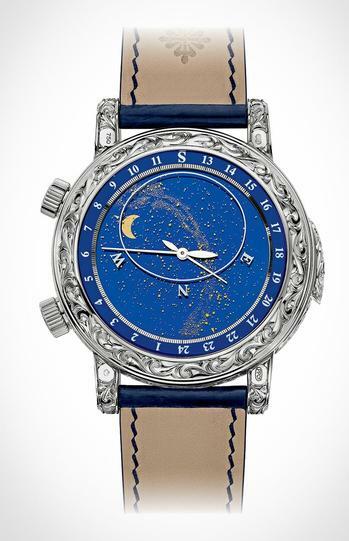 The Recital 11 Miss Alexandra is back to the old style with a massive moon-phase indication over the time, set on a dial of guilloched mother-of-pearl. 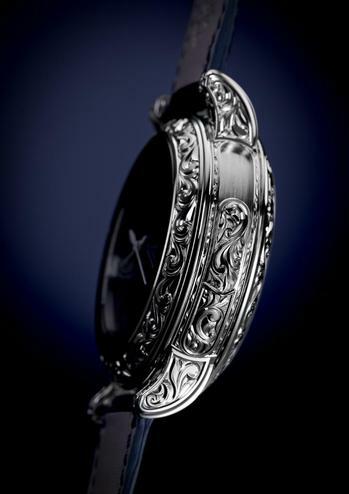 Notice that the hands form a heart-shape when they overlap, because it's a ladies watch! 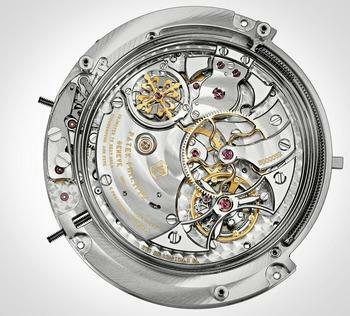 The movement is caliber 11DA16MP with 29 jewels, 28,800 vph and a power reserve of 3 days. 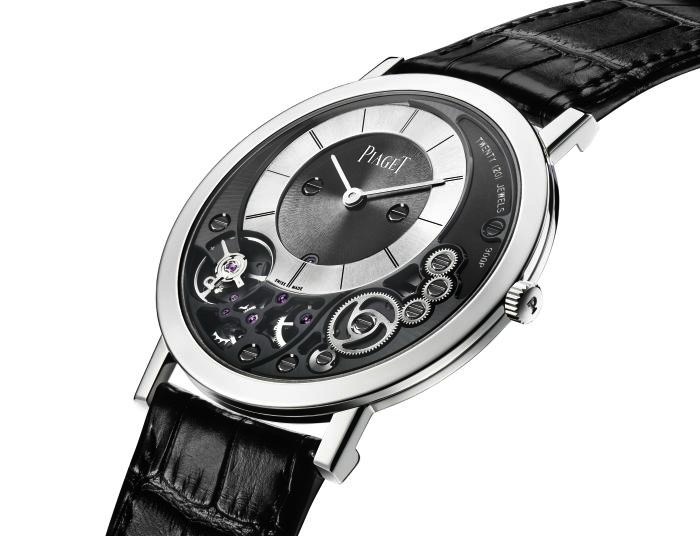 Piaget(previously mentioned) has always taken pride in their ability to make the thinnest possible watch. They lost this crown to Concord's Delerium with the advent of Quartz, but have, in recent years, taken to tilting at the title of "Thinnest Mechanical _____" with some regularity. The new Altiplano 900P, released in time for the brand's 140th birthday is an admirable entry into that competition, at 3.65mm it's currently the thinnest mechanical watch, though not the thinnest mechanical movement. Their solution, which is similar to that of the AP 2870, was to integrate the movement into the case. They have also reorganized components so that parts with required thicknesses, like the balance assembly and the hands, do not overlap but sit side by side. 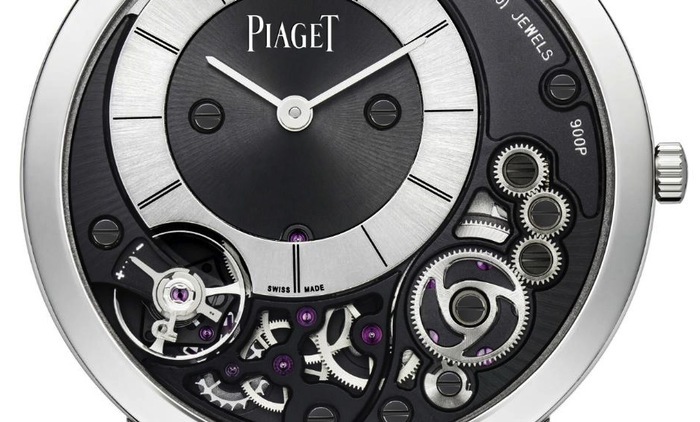 Adding to those architectural changes ultra-thin parts, 0.12 mm for some of the wheels as opposed to 0.20 mm on a standard movement, allowed Piaget to get to the current record. One problem with ultra-thin watches has always been stiffness, all of the parts have more flex in them than in a normal watch, and this leads to some unusual problems, like the case-flex of the Delerium IV that made it nearly unwearable. 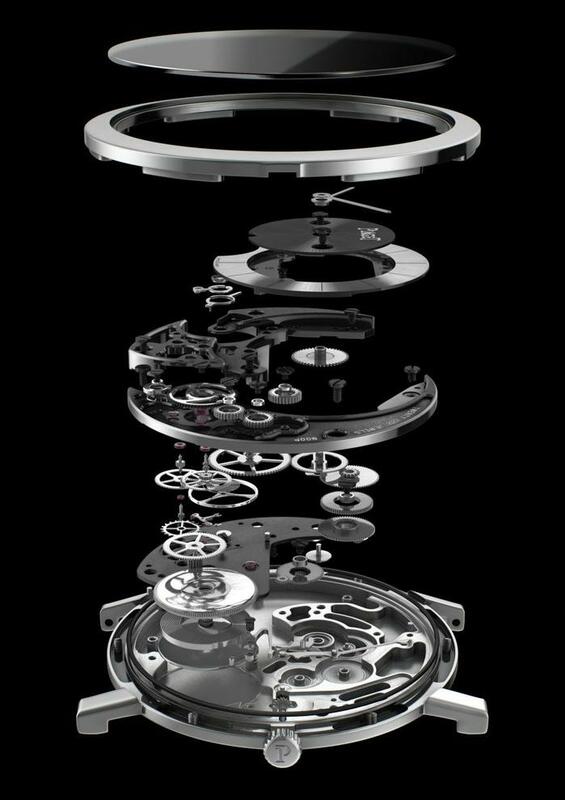 Piaget has tried to ameleorate this, at least to a degree, by having the top bridge of the balance wheel the highest part of the movement, so that if the case or crystal flexes inwards, it'll impact a stationary bridge and not the usual victem, the top of the minute hand/canon pinion. 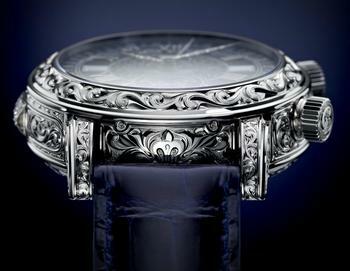 Case is 38mm in diameter and white gold. Power-reserve, another feature that often gets reduced in ultra-thin watches, is a entirely normal 48 hours. It's barely December, but the watch industry is already starting to gear up for the winter shows. 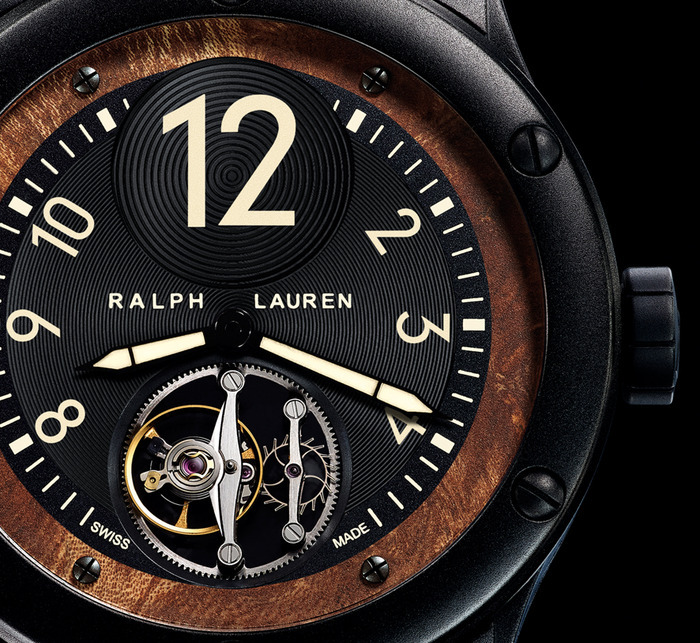 Ralph Lauren Watches are a strange brand from the Richemont stable. They've got a solidly coherent aesthetic, antique automobiles(which makes sense considering RLTM's collection), and solid movements, but I'm at a bit of a loss as to who their target is. 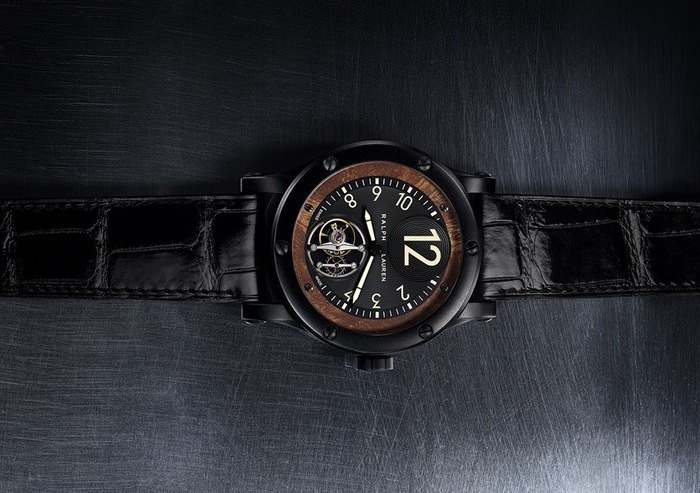 In any case, they have a new tourbillon out this year, in a large (nearly 45mm) blackened-steel case. Like their Sporting Automotive collection (at least the names are descriptive), there's a ring of elm burl at the outer edge of the dial. 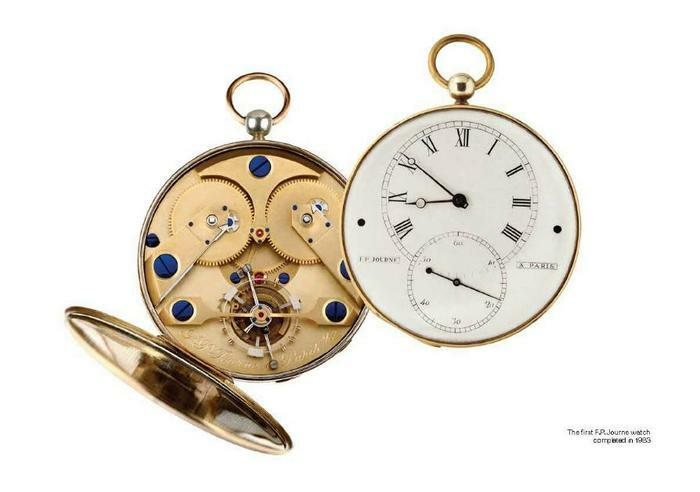 30 years ago François Paul Journe(see Previous) created his first tourbillon, a key-wound double-barrel pocket watch timed by a detente escapement. 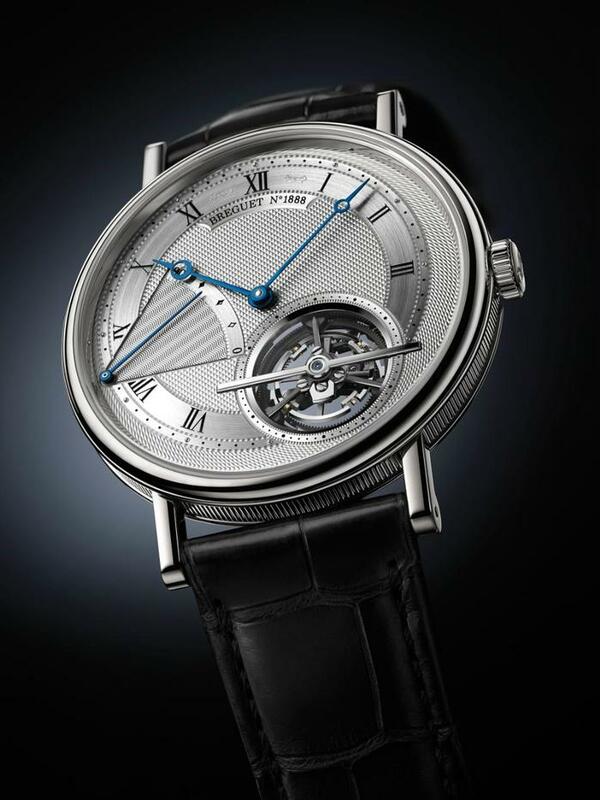 The aesthetic is a clear homage to early 19th Century watches by Breguet (the man, not the brand). The screw heads are polished and beveled, with chamfered slots and heat-blued. The case is a combination of 18kt rose gold and sterling silver and, like the original, engine-turned(previously mentioned) in a barleycorn pattern. 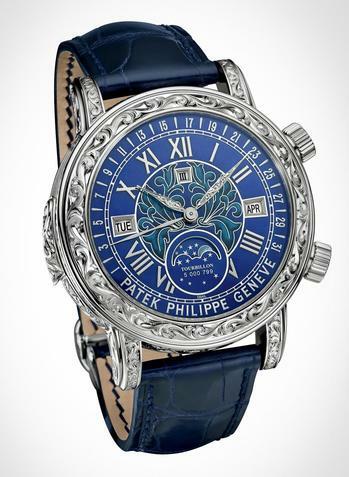 The dial is finely-grained silver with the large subsecond circle and off-center hours and minutes engraved and filled with paint. 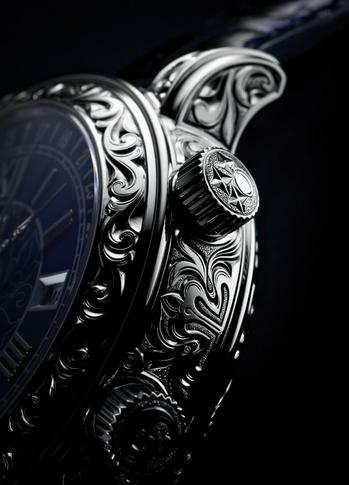 The hands are blued-steel Breguet 'pomme' style. 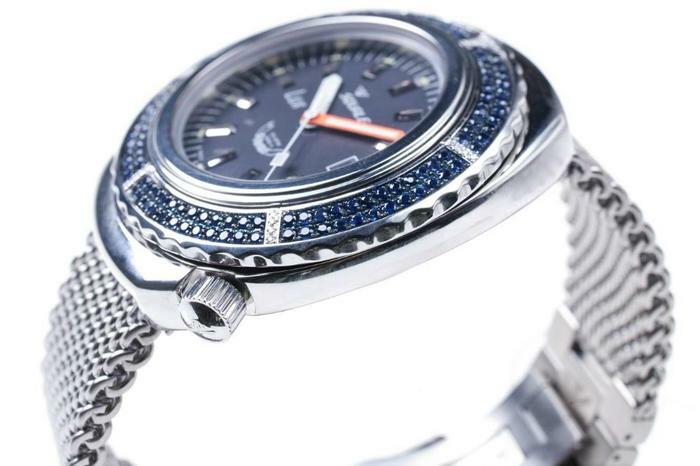 It's an interesting state of affairs when the MSRP of $99,000 has caused comments that can be summarized as "that's surprisingly reasonable"
If you love diamonds, diving and disgraceful displays of excess, then the new Altanus Squale Professional 101 Lux (that's the real name of the model) is for you. In a stainless steel, either polished or black PVD coated, case of 43mm is a bog-standard ETA 2824-2 (24 Jewels, 28,800 BPH, 38h RdM). 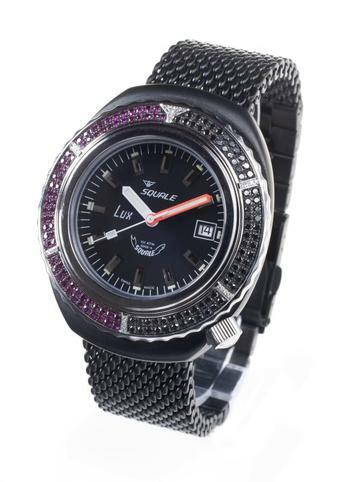 The bezel is set with 160 diamonds, possibly black, possibly white, or alternately some sort of purple stone with the black diamonds, surrounding a carbon fibre dial in black, orange, blue or yellow. It comes with either a rubber strap or a stainless-steel bracelet. Girard Perregaux (previously mentioned) has been in a bit of a funk recently, in terms of new products. 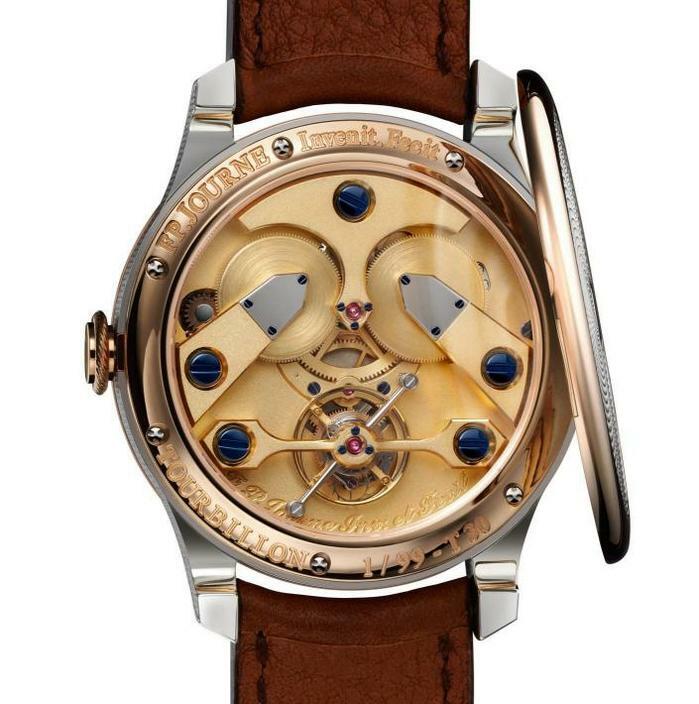 They've put out slight modifications of their successful 1966 line and and ever-increasing number of "bridge" tourbillons, including some retina-searing jeweled pieces with Boucheron, but nothing innovative and technical. 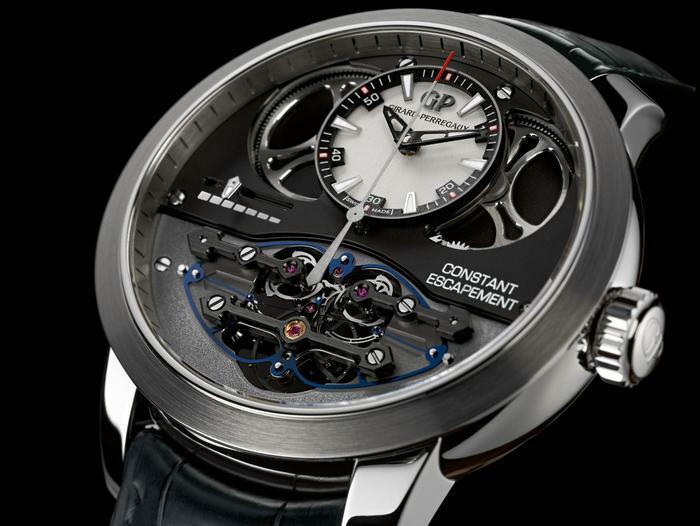 That has come to an end with the release of their Constant Escapement watch (there doesn't seem to be more of a name). The escapement has been redesigned to solve the usual problem of isochronisity, that is even time keeping across the runtime of the mainspring. In the Constant Escapement, the silicon beam (really thin horizontal, slightly curved line), delivers a very precise impulse each time. Like holding a curved playing card (really easier when you watch the video down the post), which will "flip" position after pushing in the curve, the beam buckles and flips to the other stable position once per impulse. This flip allows one of the 2, 3-toothed escapement wheels, to move ahead. Yes, it's really overly complex, but it IS cool to watch. SJX has a better explanation with some pics of the unusual escapement parts. Case: 18kt white gold, 48mm x 14.6mm, water resistant to 30 meters. 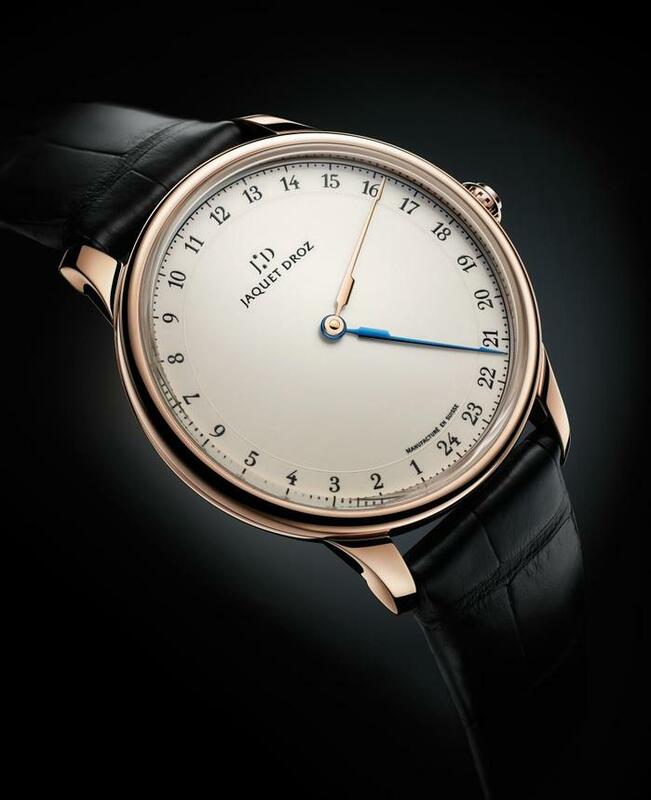 Jaquet Droz(previously mentioned) is often good for a classically styled watch, and their new Grand Heure GMT does not disappoint. 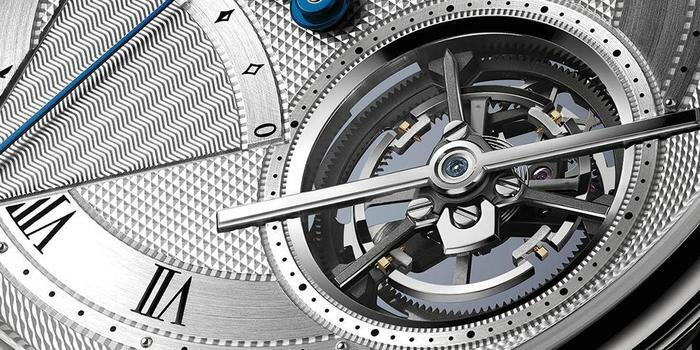 They've taken the F.Piguet 1150 caliber upon which most of their watches are based and reworked the display to be only a 24-hour hand, as well as adding a second 24-hour hand for another time-zone. 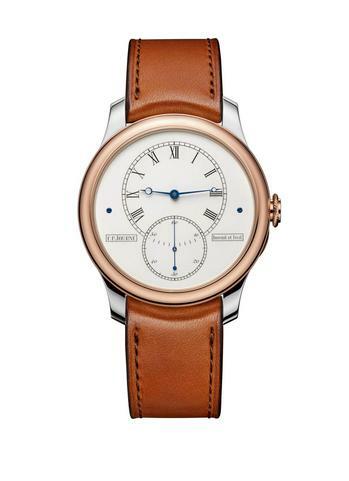 The rose-gold hand is local time and the blued-steel one is the other zone, both turning over an actual hard-fired enamel dial of an ivory color. Both hands` are styled as legs of an old-fashioned pair of dividers, possibly to tap into that lucrative Freemason market. As is usual for JD, the case is a rather large, but flat 43mm by about 12mm and the strap is alligator with rolled edges. Retrograde perpetual calendar (QR) - this is the major change from the 5002, the addition of a retrograde calendar. 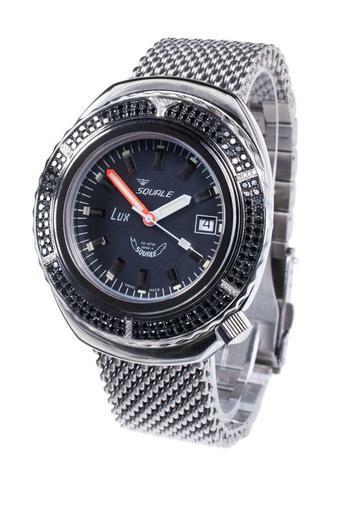 This page is an archive of recent entries in the Wristwatch category.